Hein Cited Issue #17: Hein as the Resources you need on Copyright Law! This collection contains all of the significant materials leading to the Copyright Act of 1909. Many of these documents were never distributed on a wide basis, and some were never officially published. Hence, this set’s value to the legal research community. Under the 1909 Act, federal statutory copyright protection attached to the original works only when the titles were published and had a notice of copyright affixed. Therefore state copyright law governed protection for unpublished works, but published titles, whether they had a notice of copyright or not, were governed only by federal law. If a title did not have a notice of copyright and the work was not published in a legal sense, the 1909 Act provided no copyright protection and the title became a part of the public domain. 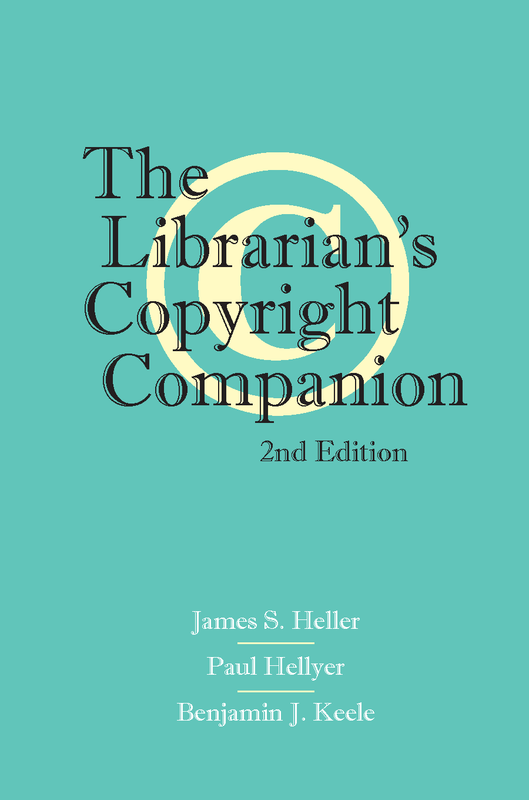 By James S. Heller, Paul Hellyer, and Benjamin J. KellerWhat’s New in the 2nd Edition?The Librarian’s Copyright Companion provides a framework that will help librarians analyze the impact of copyright law in their library. Much has changed (and much hasn’t) since the first edition came out in 2004. The transition from print to digital continues in periodical collections and academic reserves and repositories. This book is another voice of copyright, beginning with a different premise: copyright exists to promote the dissemination of information, and while creators have certain rights, so do users. This book is written by scholars with expertise in the fields of copyright law, education, and librarianship. The contributors advocate changes in the copyright statute, in interpretations of the law, and in school and library practices so that librarians and educators can meet their obligations, and exercise their fair use rights fully.